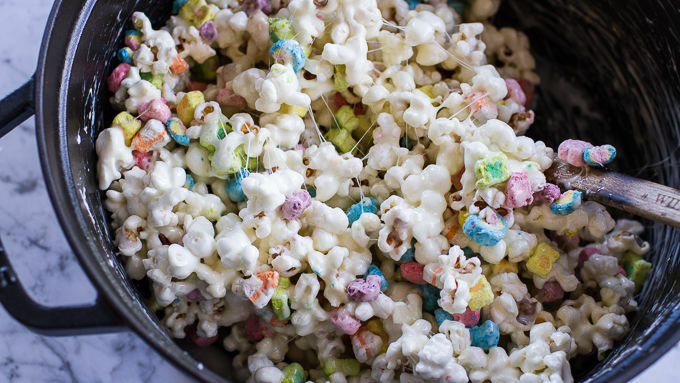 Gently stir in the popcorn until fully combined. Stir in the Lucky Charms marshmallow bits, being careful not to over stir them (or the colors will bleed). 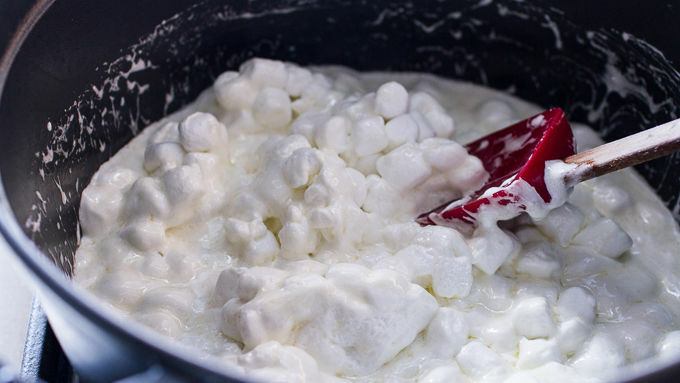 Once the mixture is cool enough to handle, grease your hands with cooking spray. Roll 24 balls and place them on a parchment-lined cookie sheet. Let cool completely and store in an airtight container. These are best if eaten the same day they're made. Feel free to also use the Lucky Charms™ cereal in addition to the marshmallow bits, if desired, or any other favorite add-ins. 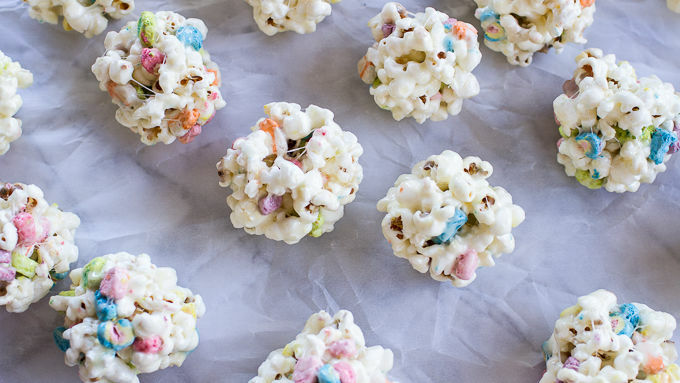 One step better than plain ol' popcorn balls – just in time for St. Patrick's Day, too. SO, are you feeling kinda lucky? Well, you should be – because I am about to tell you about some majorly fun and delicious St. Patrick’s day treats that are perfect for any party. Because you're never too old for a treat like this! Everyone's had crispy treats at some point. For me, they were a staple growing up and appeared during all the holidays because my mom would make them red, orange, green or whatever color fit that holiday. We always loved them. 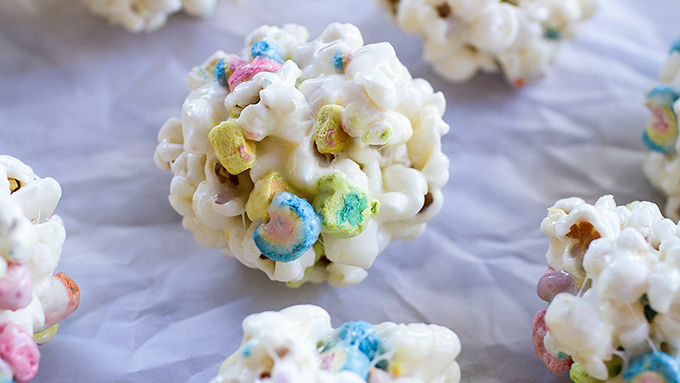 Well, these popcorn balls are just like those easy crispy treats, just subbing in popcorn and the marshmallow bits from the box of Lucky Charms™ cereal. See why you should feel lucky today! Feel free to also use the Lucky Charms™ cereal in addition to the marshmallow bits, if desired, or any other favorite add-ins. So cute. So perfect for party snacks! These are best if eaten the same day as they're made so, you know... go right ahead!